It begins with the mixture of plant and animal notes. Leather Styrax and Labdanum work force male individual but also around and almost wistfully. An echo of sparkling lemon aufgepeppte sensuality with notes of violets dynamic Only The Brave the urban character and give a modern energy. 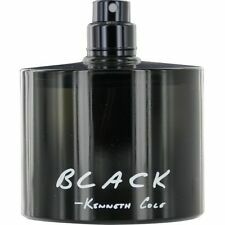 This masculine scent possesses a blend of wild flowers, linen, amber and tobacco. The jolting top notes are peppery, aromatic and sharp (tarragon, clary sage, juniper berry), like gunpowder for modern warriors, while the rest lies on wild flowers and warm, masculine notes of tobacco and amber embracing a heart of lily and iris. Magnetic and mysterious with notes inspired by woods, musk and aromatic pepper, First Instinct is as intriguing as it is addictive. Gin & Tonic - Aromatic Pepper - Sueded Musk. SIZE: 3.4 oz / 100 ml. OBSESSION by Calvin Klein 4.0 oz (120 ml) edt (eau de toilette) Cologne New in Box. This scent is an undeniable blend of botanicals, spices, and rare woods. SIZE: 4.0 oz / 120 ml. CONDITION: New. FORM: Spray. Bleu De Chanel Eau De Toilette 3.4 FL. Condition is New. Item has never been used! All testers are sold unused, with the entire original quantity in the container. CONCENTRATION: Eau de Toilette. WHAT IS A TESTER?. SIZE: 3.4 oz / 100 ml. CONDITION: New. FORM: Spray. 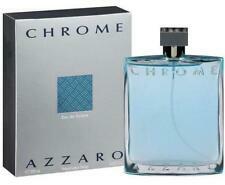 Launched by the design house of Carolina Herrera in the year 1999. This woody aromatic fragrance has a blend of spices, bergamot, ginger, green pepper, gardenia, violet, labdanum, sandalwood, musk, guaiac wood, vetiver, and incense notes. COOL WATER Cologne by Davidoff 6.7 oz (200ml) edt (eau de toilette) New in Box. SIZE: 6.7 oz / 200 ml. FORM: Spray. CONDITION: New. Fragrance Notes: Vetiver, Amber, Myrrh, Labdanum Hydroponic Sage, Oudh wood, Ginger Pepper Net Weight: 3.4 oz. Ingredients: Rain Water, Pepper, Ginger, Sage, Frosted Sudachi, Cedar Leaf, Patchouli, Myrrh, Labdanum, Amber Solid, Vetiver. 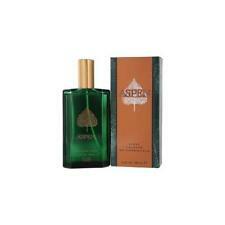 This masculine scent possesses a blend of green notes, herbs, ginger, cedar and the aroma of a morning dew. CONCENTRATION: Eau de Cologne. SIZE: 3.4 oz / 100 ml. CONDITION: New. FORM: Spray. Abercrombie & Fitch. Eau De Cologne. 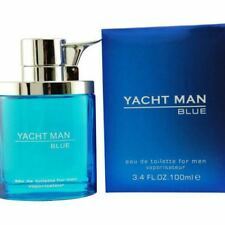 ROCHAS MAN Rochas 3.4 oz (100 ml) 3.3 edt (eau de toilette) Cologne Spray NEW TESTER. ROCHAS MAN, The new fragrance from the designer house of Rochas in 1999. With basenotes of cedarwood, jasmine, coffee, sandalwood. A celebration of vitality and creativity, Solare is bold, confident and daring. SIZE: 3.4 oz / 100 ml. CONDITION: New. FORM: Spray. 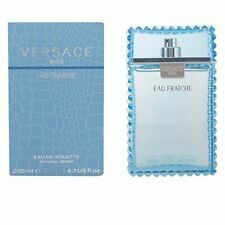 Size : 3.4 oz / 100 ml Eau De Toilette Spray. CONCENTRATION: Eau de Cologne. Tamarind and Cotton Flower are combined with musk and warm woods to create this sensational new fragrance. SIZE: 3.4 oz / 100 ml. CONDITION: New. FORM: Spray. Launched in 2016. A modern amber, stitched with Prada's DNA. L'Homme Prada reflects the duality of masculine identity, as a fragrance of pairs, of doubles, of juxtapositions and layers. It is constructed around the two most emblematic ingredients of the House: iris and amber, united for the first time in a Prada fragrance. L'Homme Prada is an unexpected take on a fougere, with classic ingredients of men's perfumery reinterpreted in a modern way: neroli, geranium and patchouli. 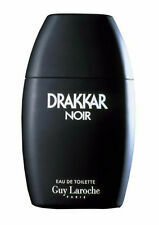 A highly sensual and distinctive scent. This masculine fragrance from Gucci was released in 2013 and is popular for romantic wear and special evening events. Earthy patchouli rounds off the fragrance with a woodsy accent that is beautifully balanced by hints of tart lemon juice. TOMMY BOY EST 1985 by Tommy Hilfiger Cologne edt (eau de toilette) 3.4 oz (100 ml) / 3.3 oz NEW in BOX. SIZE: 3.4 oz / 100 ml. CONDITION: New. FORM: Spray. SEALED AND READY TO GO! VIKTOR & ROLF SPICEBOMB eau de toilette 3.04 oz Spray. New And Sealed. ACQUA DI GIO. GIORGIO ARMANI. Eau De Toilette. 3.4 oz / 100 ml. Ck One by Calvin Klein Cologne Perfume Unisex 3.4 oz New In Box. 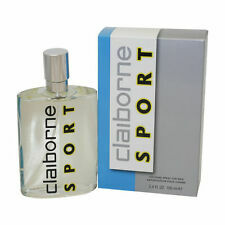 This masculine scent possesses a blend of woodsy, citrus notes. All testers are sold unused, with the entire original quantity in the container. WHAT IS A TESTER?. SIZE: 2.5 oz / 75 ml. CONDITION: New. DOLCE & GABBANA. Eau De Toilette. LIGHT BLUE. Mont Blanc Emblem 1.2 ml spray. - Mont Blanc Legend 1.2 ml spray. - Lacoste L.12.12 Blanc 1.5 ml splash. - Paco Rabanne 1 Million Cologne 1.5 ml spray. 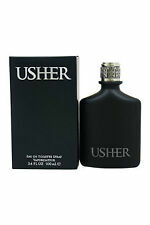 - Ralph Lauren Polo Black 1.5 ml spray. 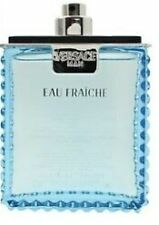 - Issey Miyake L`eau D`Issey Fraiche 1 ml spray. 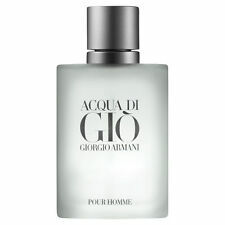 Acqua Di Gio Essenza 1.5 ml. 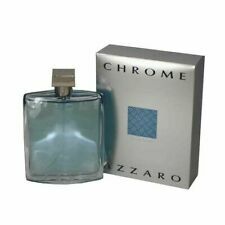 - Acqua Di Gio Profumo REPLACED WITH AN EMPORIO ARMANI STRONGER WITH YOU 1.2 ml. - Armani Code Ultimate REPLACED WITH AN ARMANI CODE PROFUMO 1.2 ml. The scent captures the healthy, active aspects of the Gucci man`s lifestyle blending the juicy tartness of grapefruit with the green fruitiness of sun-drenched Corsican Fig and the rich, woody depth of patchouli, a signature Gucci ingredient. This masculine scent possesses a blend of mandarin, apple, plum, peach, rose and sandalwood. SIZE: 3.4 oz / 100 ml. CONDITION: New. FORM: Spray. For all that he's done for you and the family, thank dad this Father's Day and shop for his favorites in fragrances and more.